In my post reviewing my new stove, I did neglect to give specific measurements of the stove, and a direct link to the dealers. I am correcting this omission here and now. 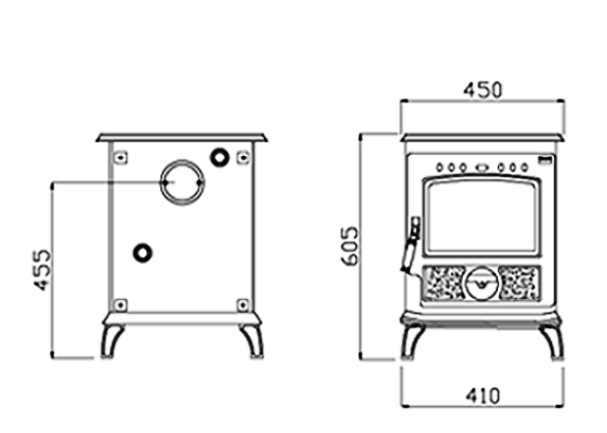 Above is a dimensioned drawing of the stove showing all relevant measurements in millimeters. 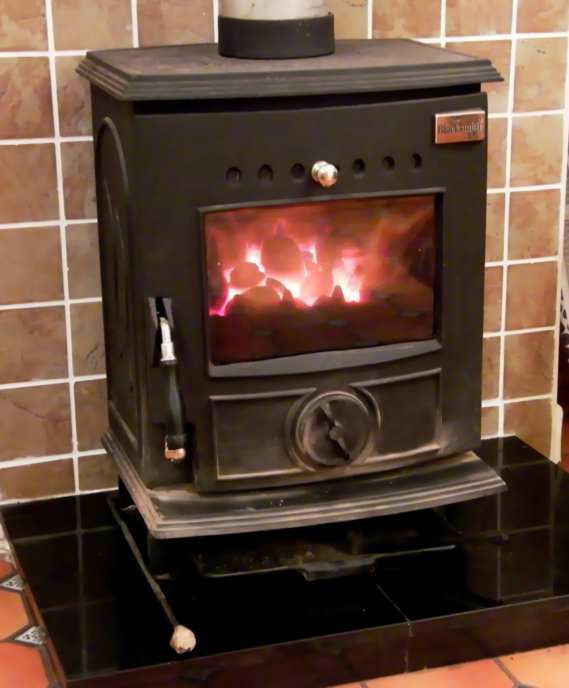 As you can see it is a very tidy stove and will fit in just about any position. It has two possible flue outlets, one on top shown in my photograph above, and the other at the back as detailed in the drawing. The stove comes with or without a boiler. I have the non-boiler version. 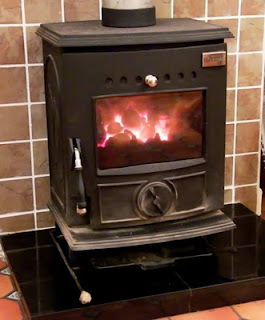 The model fitted with the boiler is only good for heating a hot water tank or maybe one or perhaps two small radiators, but certainly not both, as the output to the boiler is just 2 Kw. I did try to make contact with the dealer but they are so far unresponsive, I hope this does not indicate a general trend. I would like to think they would be helpful to customers but the initial response is not too promising. Another new type of solar cell?